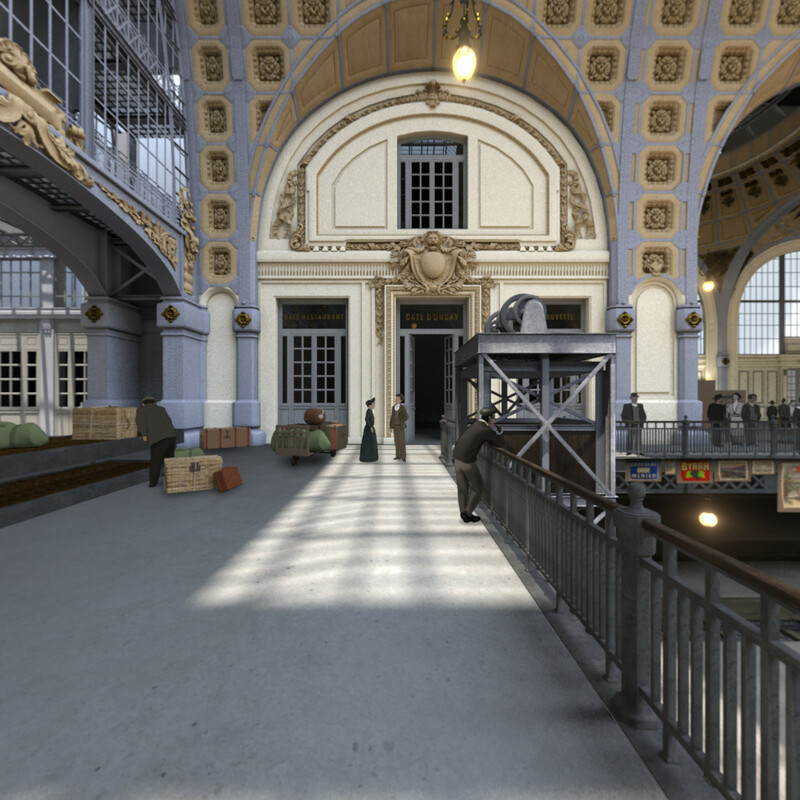 For the first time, the Museum of Orsay in Paris, equips itself with a virtual reality device providing the public with a 3D trip in the monument’s history. 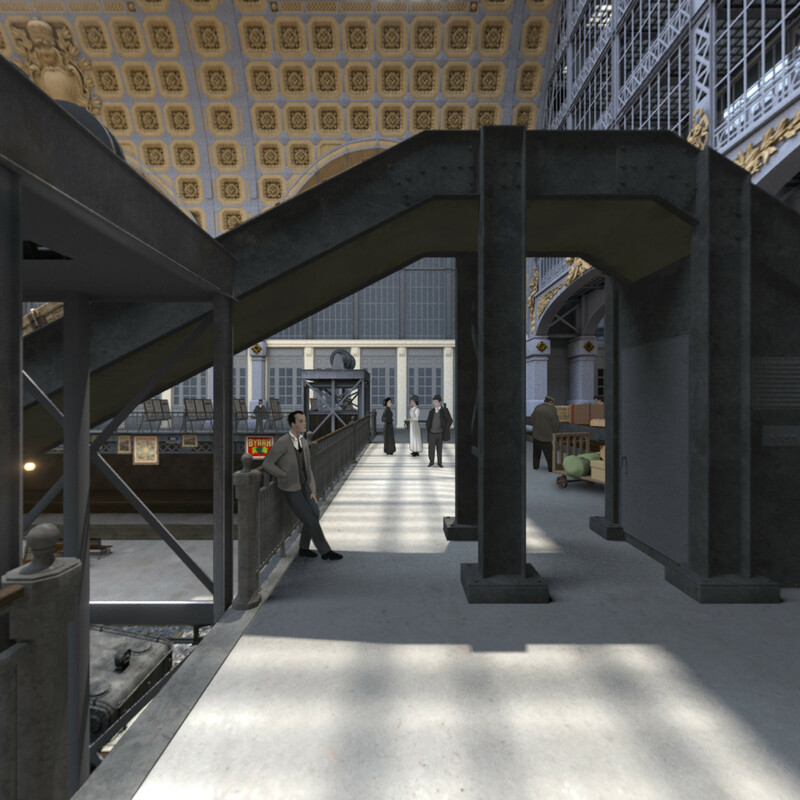 This immersive experience was developed by AGP and takes the form of a time lapse film which plunges the visitors in a 360° reconstitution of this iconic place at different periods. 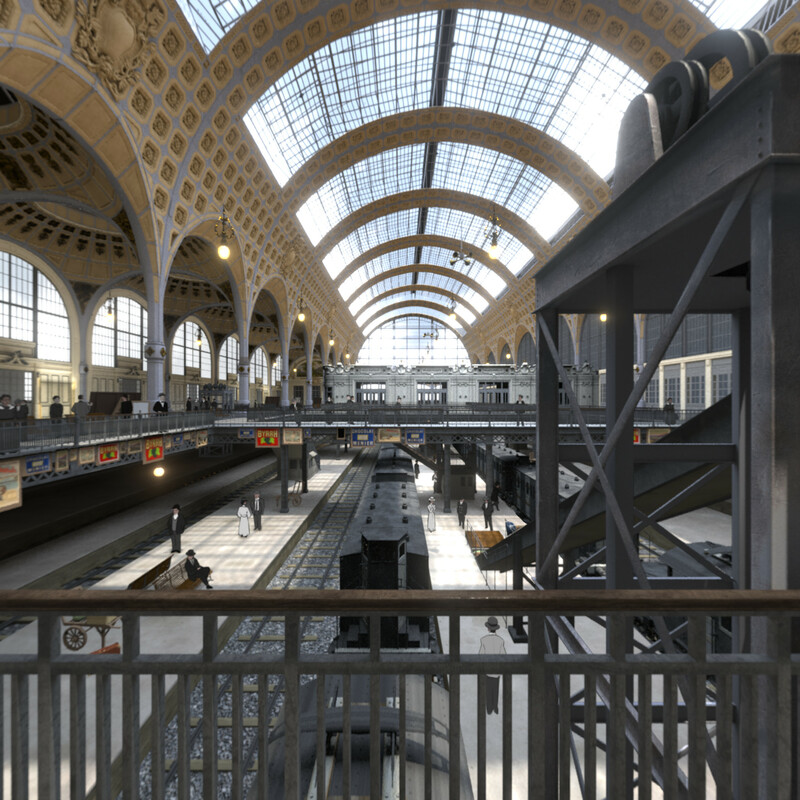 The film tell the story of the Orsay building from the railway station in the early XXth century to the foundation of the museum in 1986 : a voice-over relates the numerous intended uses of the place over the years. 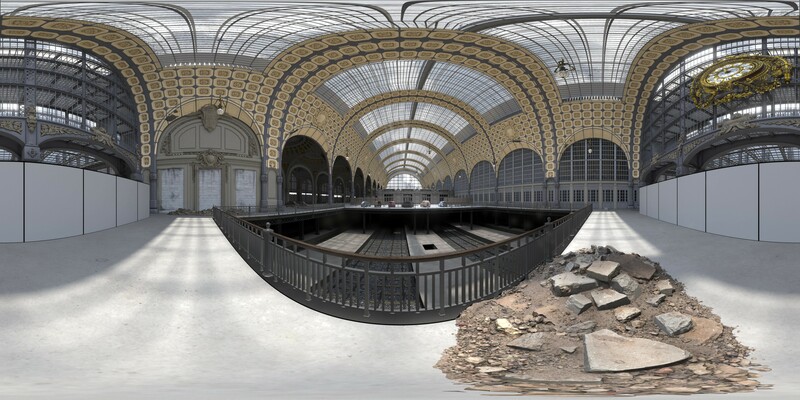 The 360° scene is enlivened by era figures and was designed on the basis of postal cards and historical record given by the scientific comity of the museum. 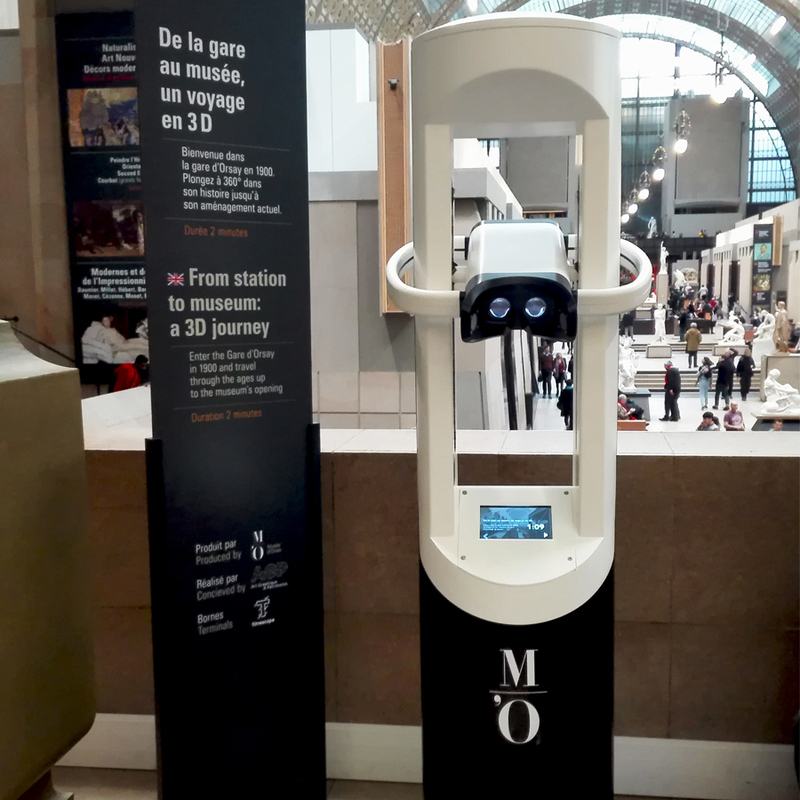 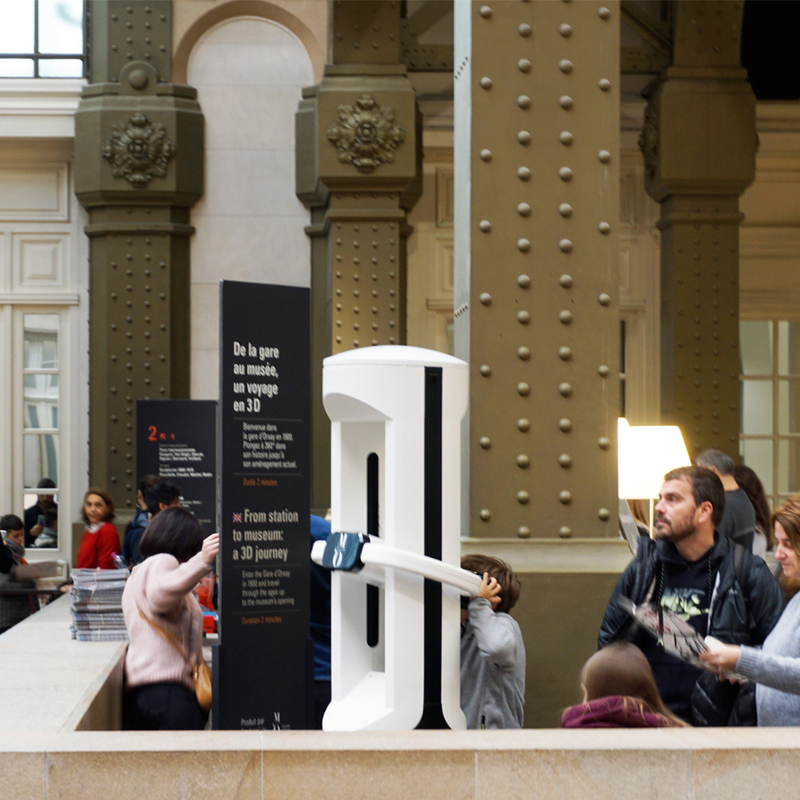 Available freely through self-service, the VR experience is diffused from two different viewing angles on Orsay’s nave, via two Timescope machines settled in the welcome area of the museum.